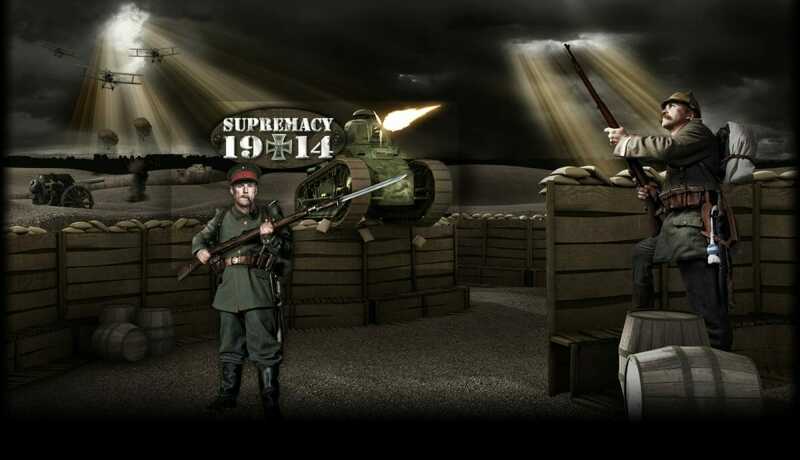 Bitro Labs are the developers of Supremacy 1914, a very strategic free to play MMO browser game that is set during the first world war. The idea is to take the country that you rule and lead them into war against your opponents whilst using skilled strategical thinking and high levels of diplomacy to finish up as the victor. To get started with the game you simply create and register an account and you are then ready to select a match to join. Do note that you can join a number of matches at the same time and can even have them all open at the same time in a number of browsers. What makes this game stand out a little from its counterparts is that it has been written in Java. This means you can take advantage of things like zoomable maps which are constantly updated in real time. This map is the centre of everything and is where you will plan your attacks. 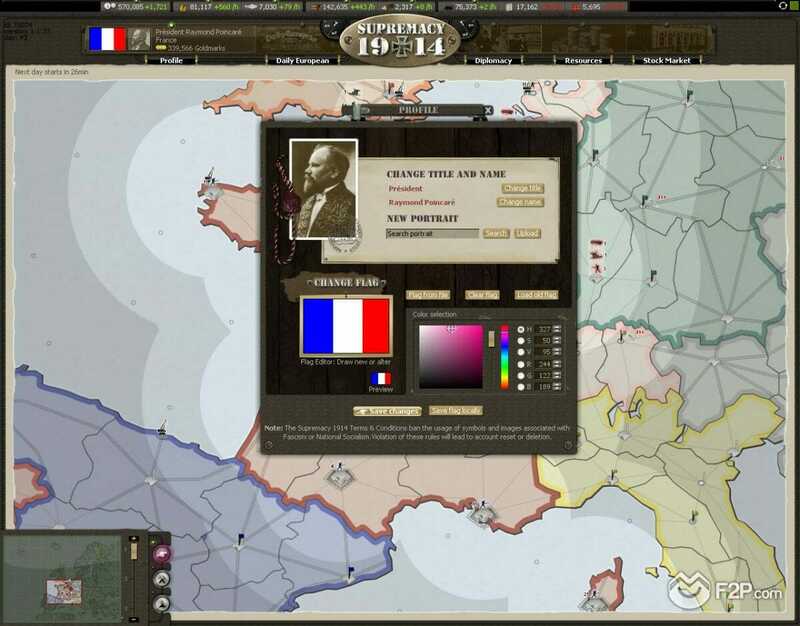 In various tabs you are able to see which nations you are at either at war against or allied with, trade with your friends and check the latest newspaper stories. 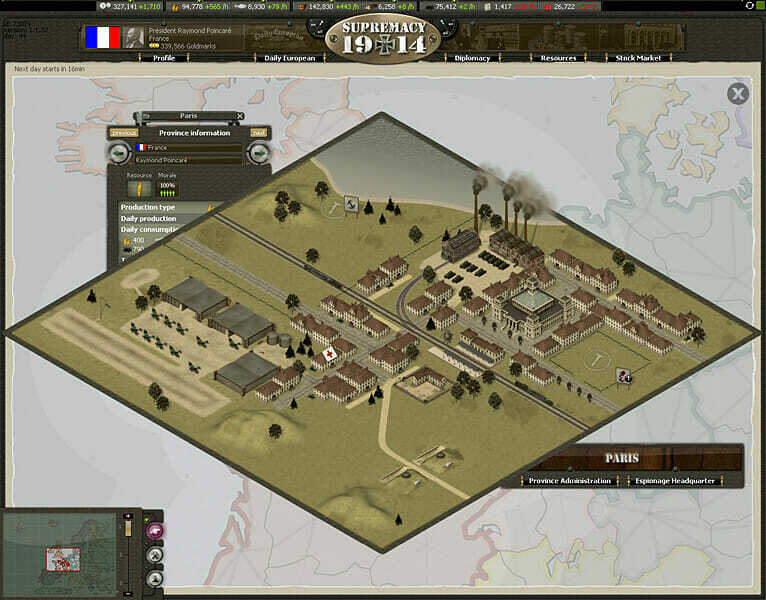 The map and battle planning aspect of the map is very similar to that of the popular board game called ‘Risk’. You will be able to see where all your troops are and the troops of others. The movements that each set of troops makes will be seen whenever the map updates in real time. 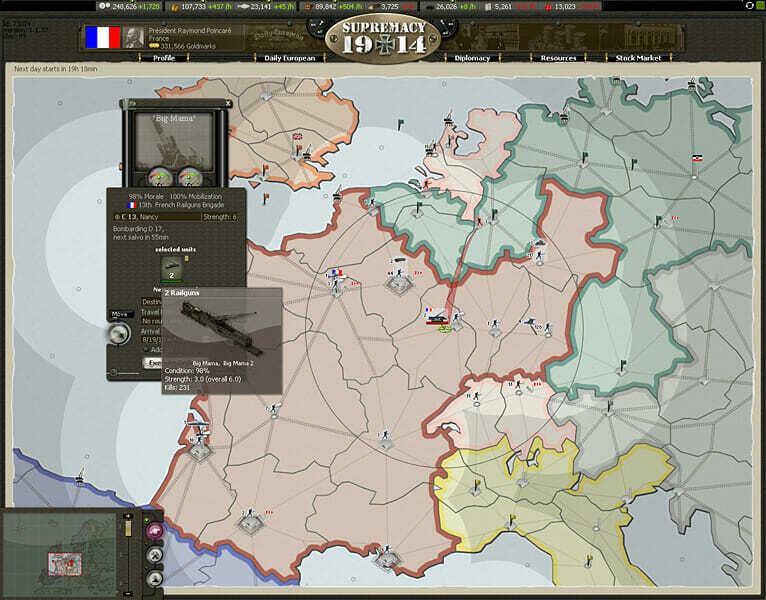 Each of the provinces in the game are able to make one type of resource, which is where diplomacy comes in as you will need to make sure that you have access to each of the other resources to become successful. This will mean that you are more than likely to attack players that are in a province that has a resource that you need. You have to construct buildings, expand your armies and plan what you are going to for every step of the game. Will you send spies out to check on the resources of your opponents or do sabotage missions? Or will you work on building relationships with select forces around you? Graphically the game is very simple but perfectly adequate for a game of this type. 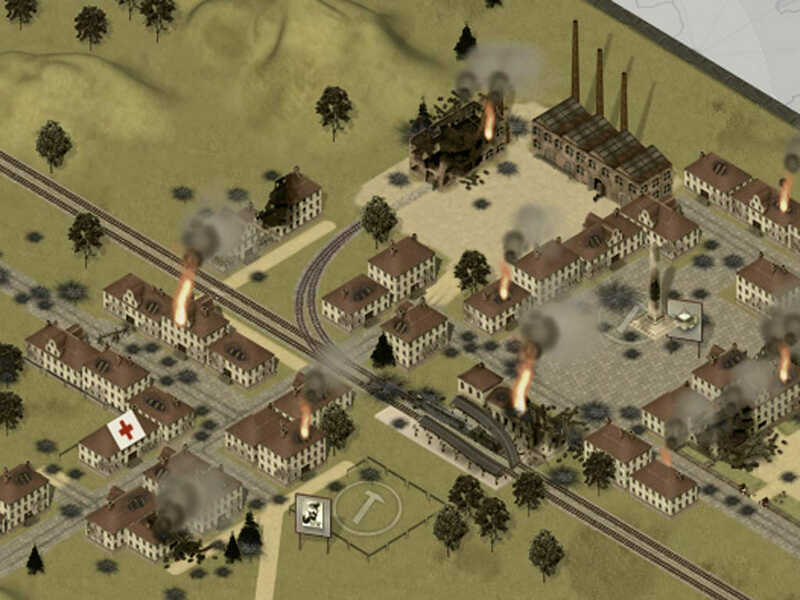 They certainly give off the feel of World War I which fuels your desire to play the game. As for the sound, well there is none unfortunately. It is not the biggest deal in the world but it would not have taken much for them to add a few sounds or some music whilst you are playing. The game is also very slow paced. It can take many hours or in some cases days to do certain actions or make a move on the map. Though it is slow it does fit the game which lasts two months for every round. This is why it is a good feature that you can play more than one match at a time, thus keeping you with plenty to do whilst waiting for something on other games. There is a premium feature in the game and this is where many complain about the game. These premium features give a massive advantage to those that do not want to play, basically meaning you are going to lose if you come up against a paying player.